2019 promises to be a busy year for the energy sector. With the expansion of renewables, we can expect a plural energy future. However, many energy policies are in limbo. MultiBriefs spoke with several energy experts to find out some of the biggest energy trends for 2019. You’re familiar with restaurants being graded on cleanliness (thank goodness), but according to Lee Vardakas, president of Aegis Energy, in 2019, buildings are also being graded on their energy efficiency. "New York City is looking to grade the sustainability of restaurants and other large facilities, including multi-unit residential high rises, corporations, and specialized facilities such as hospitals and breweries — anything with a large footprint and a large energy draw," Vardakas says. Similar to restaurants, these buildings will be required to display their grade at all public entrances. "The thought is that the market will be galvanized, and those buildings that earn high grades will be rewarded with the ability to command higher rent dues for their commitment to sustainability and efficiencies," Vardakas explains. 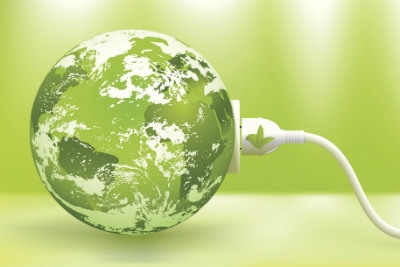 "More and more investment firms are making clean energy a requirement for companies in their investment portfolios and it represents a competitive advantage over time," according to Jeremy MacDonald, global energy and sustainability director for ISS Facilities. He says that new energy technologies are emerging that can provide companies with clean power. “But more than just clean power, the focus on on-site creation is growing as well so that there is energy independence," he says. But it’s not just investments firms that want clean energy. "I see more and more commercial and industrial customers looking for energy independence, which directly impacts two major issues: corporate responsibility for the environment in general, and using smart technology to control their energy costs and reduce their overall energy usage," says Jim Mathers, president of Energy Professionals. He notes that many corporations are not waiting for city or state regulations that require them to be more sustainable. "These companies are moving directly toward more sustainable, yet cost-cutting solutions for their energy needs," Mathers says. Matthias Alleckna, an energy industry analyst at EnergyRates.ca, believes that renewables are the future of energy and will be cheaper in the next few years. "From electric cars to solar-powered homes, people are switching out traditional sources for cleaner ones," he says. Green energy used to be cost-prohibitive, but Alleckna says research, more substantial investments, and governmental policies are changing this reality. "We can expect renewable energy to become more present in our day-to-day life as it becomes more affordable." He points to the carbon tax as one thing that will help to make clean energy cheaper. "Countries all over the world are creating or updating carbon-specific laws, and we can expect the talk on such taxes to become one of the hot energy topics of 2019." Drew Farnsworth, partner at Green Lane Design, believes that 2019 will be the year of the battery. "Tesla has already proved ROI of utility scale batteries in Australia, and the U.S. will pick up adoption as well." He points to storage as the reason for battery adoption and says green energy is greatly enabled by storage. "Traditional power plants take time to ramp up to capacity, and many cannot be easily shut down at all," Farnsworth explains. "To create elasticity in the grid, there needs to be some sort of storage — whether it be pumped hydro, liquid salt or batteries, but battery technology has advanced to the point where it appears to be the frontrunner." Also, Farnsworth says that batteries are based on well-established technologies. "In addition, think about all of the plug-in electric cars that could be utilized for on-demand, on-grid storage while they are plugged in," he says. "If car owners opted to allow the grid to use 10% of their capacity for powering the grid, it would provide gigawatts of grid-connected battery storage instantly." Regardless of how popular renewable energy is, oil and gas aren’t going anywhere anytime soon. "As the world invests in more clean energy power plants and other clean energy structures, we can expect oil and gas consumption to grow in the next few years," says Alleckna. According to him, many specialists consider oil and gas as essential energy sources for the transition from "dirty" to clean energy. "Although the energy future seems green and sustainable — which is amazing — the world will still need oil and gas for some time," he says. "It's a long, gradual transition that requires technology, money and innovation." "With the ascension of Democratic leadership in the House of Representatives, look for more legislation focused on climate change," according to Joel Eisen, energy scholar and law professor at the University of Richmond. While he doesn’t expect major legislation to pass in a divided House, Eisen says public polls show that more Americans believe in climate change, and the House has revived a select committee on climate change. "Legislative proposals could take many forms, but it is expected that one of its core goals would be to promote renewable energy," he explains. "This would be a counterpoint to the Trump Administration’s ‘energy dominance’ strategy of the past two years, which has focused on producing more energy from coal, oil and natural gas." There have been proposals during the last two years to bail out coal-fired power plants in electricity markets, reverse the Clean Power Plan, and roll back other environmental restrictions on power plants. “Yet it has not worked, and over 90% of the nation’s coal is used to generate electricity, and coal’s share of the power generation market — now at 27% — has been sliding steadily since the 1990s," Eisen says. 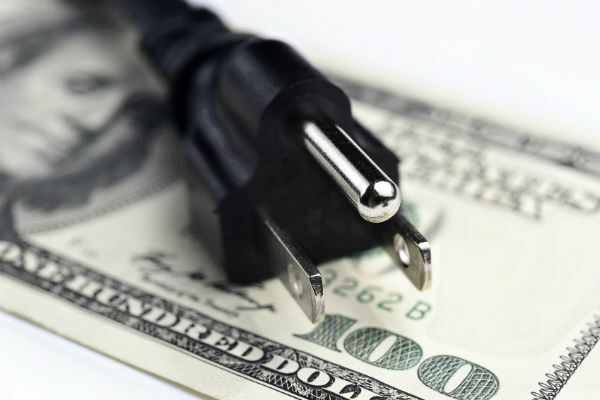 However, some energy policies may be in limbo because of the Federal Energy Regulatory Commission (FERC), which oversees the regional grid operators. "It is currently operating without a full complement of five Commissioners, after the recent passing of Chairman Kevin McIntyre," Eisen says. Currently, it’s a 2-2 balance of Republican and Democratic appointees. "A fifth commissioner might swing the partisan balance on FERC, and, that in turn might lead to changes in FERC’s positions on such matters as coal bailouts and pipeline policies."